What makes you feel snug? Is it being curled up in a blanket? Feeling safe in your cozy bed? Being at home? Or being given a hug? All sorts of children are compared to all sorts of animals as we look at the different things that make us feel snug. Many of the books Raising Readers puts in the Birth Bag are meant to be with you and your child for months and even years to come. 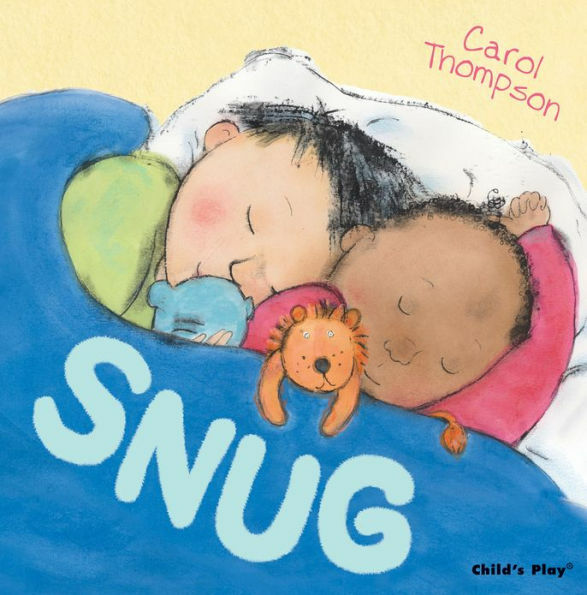 This is the second time we have distributed Snug, and several parents shared that they read this book to their infant and kept reading it until their child was two years old. Why? Because Snug is about comfort. It is about the comfort of blankets, beds, mittens, and, most importantly, the comfort of being held in a caregiver’s arms. There is also a comfort in the book’s rhyming words. When words sound alike, they sit comfortably together in our speech and happily in a child’s ears. Rhyme is important to your child’s discovering, using, and eventually reading new words. Words that rhyme are remembered. Pay attention as you start to remember the words of a children’s book or song. The connections that are being made in your brain are the same amazing connections forming in your baby’s brain.